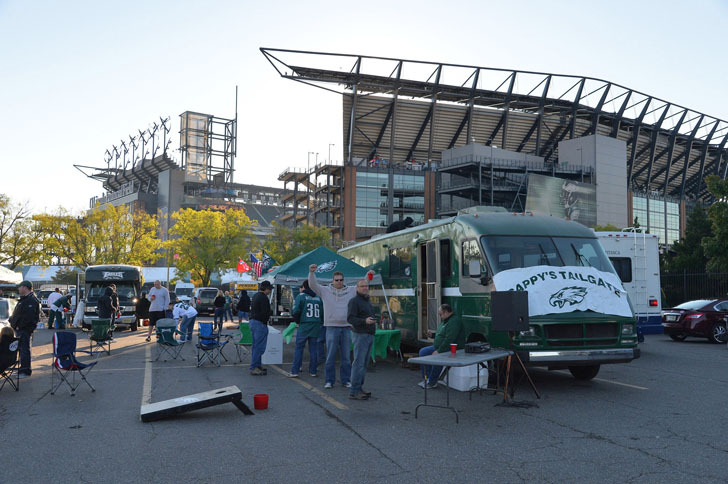 There's nothing like celebrating with food, drinks, and fellow fans in the back of your truck or RV before the big game at these football stadiums. Sure, you could always just cheer on your favorite teams at home this football season. But going out and tailgating with some friends, eating burgers, and drinking beers from the back of your truck or RV is a much better way to kick off the big game. Now that the season is in full swing, try scoring a parking spot at any of these national stadiums before kick-off. 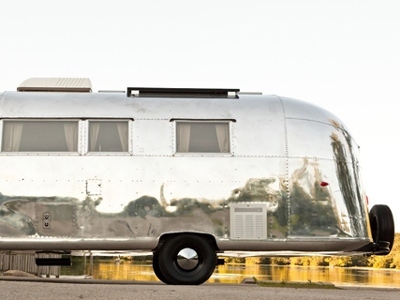 Not only do they have parking for RVs, but several other tailgating parties with some of the most delicious local food. And of course, there is always plenty of booze. In Denver, one of the top beer cities in the country, Broncos fans are all about enjoying some local brews before the game. 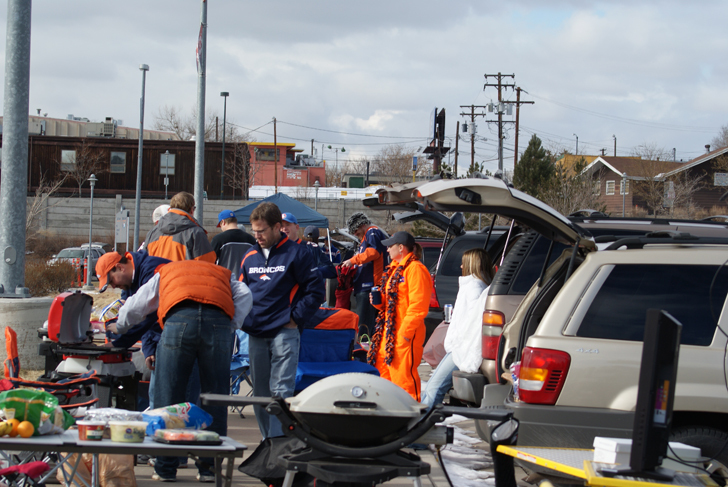 Visitors will gather outside of Sports Authority Field long before kick-off, with their cars, trucks and RVs decked out in orange-and-navy gear. Around the parking lot you’ll see cooks showing off their skills grilling hot dogs, burgers, and brats to pair their cold, hoppy drinks with. 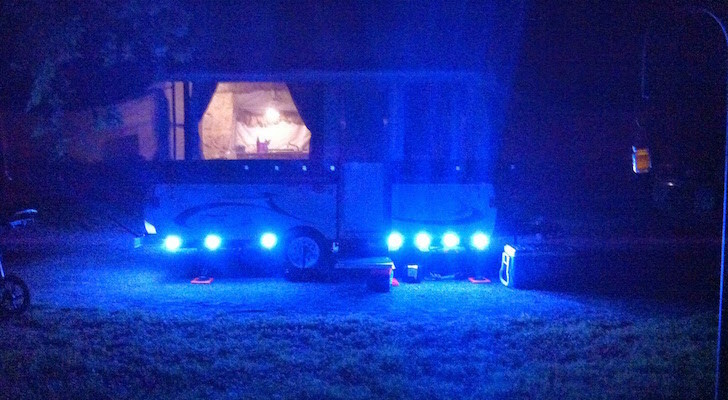 Lots C and M are open for RV tailgaters on a first-come, first-served basis. They open as early as 8am for day games, and at noon for evening games, so there’s always plenty of time for some pre-gaming festivities. For more details, take a look at their website here. 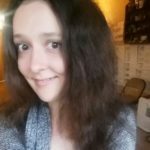 During football season, it can get cold and windy in Chicago. But the parking lots at Soldier Field are still packed with fans grilling up grub from Chicago-style hot dogs to flame-grilled burgers, and – try not to drool – grilled Krispy Kreme donuts. RVers interested in tailgating can purchase parking passes online here for guaranteed spots in the South Lot or Waldron Deck. 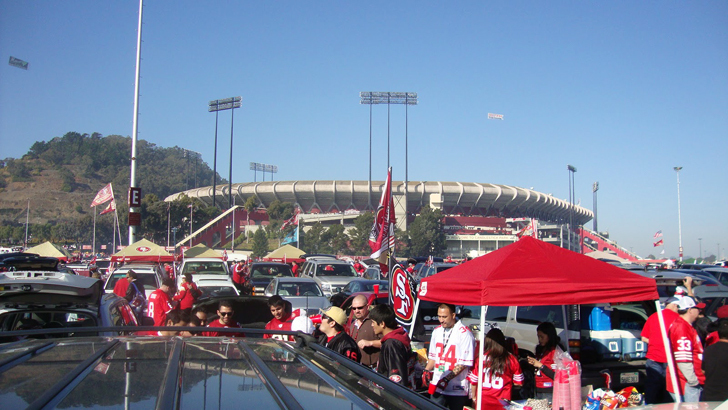 Both the surface lots and the upper level of the deck allow tailgating parties before the game. Fans can show up as early as four hours before kickoff, and need to wrap things up two hours after the final whistle. Of course having a good time before a Chiefs game involves some succulent Kansas City-style BBQ. 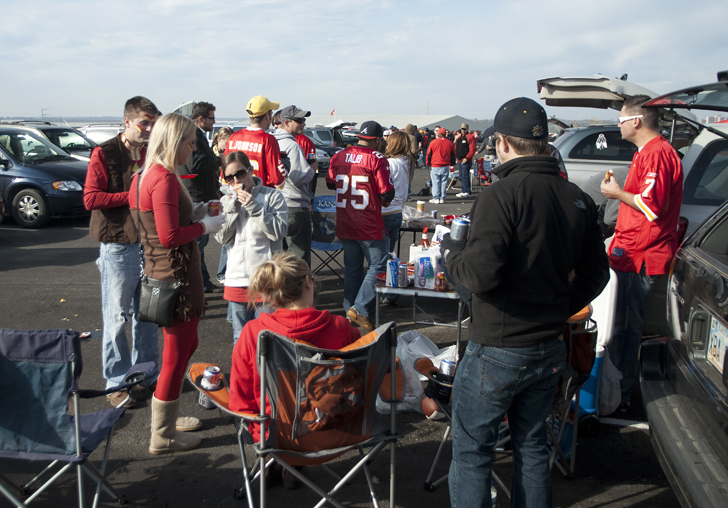 The parking lot around Arrowhead Stadium is filled with rows of smokers prior to kick-off, with a full buffet of brisket, pork ribs and chicken. The city also has a booming craft beer market, so rest assured there are plenty of local brews to wash it all down. Starting this season for 2016, bus/RV parking will be on a first-come first-serve basis. RVers will need an Oversized Vehicle Pass, which are sold in the Red and Gold parking lots. Read more details on their parking guidelines online here. Tailgating before a Pats game includes all kinds of fresh seafood – from lobsters to clams, shrimp and chowder – along with the good old staples like burgers and ice-cold brews. 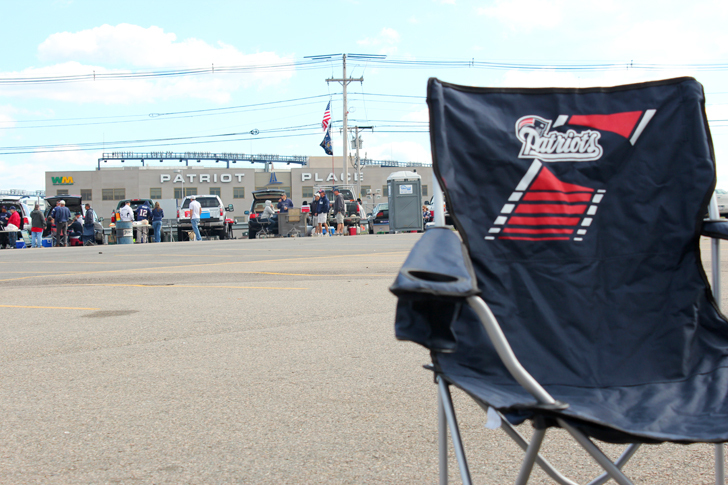 Loyal fans can park at Gillette Stadium and fire up their grills four hours before the game starts. 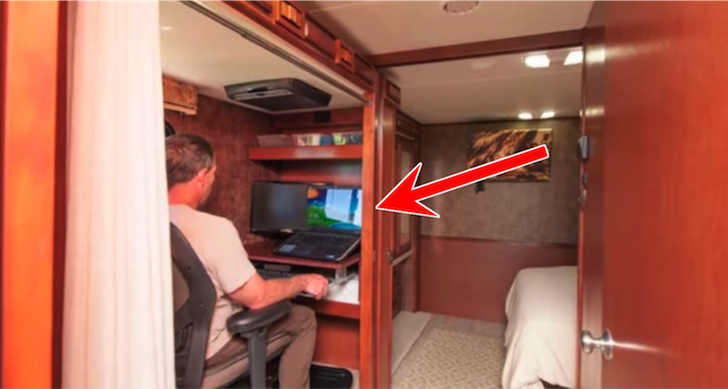 The price for RV parking is $150. Make sure to bring cash – they don’t accept checks or cards. 49ers fans have a long-standing tradition of kicking off a game of football with good food and good company. Tempting aromas waft across their stadium’s parking lot before the game starts, ranging from grilled burgers to hot dogs and fresh seafood. Buffalo Bills fans may be known to be a little wild, but really, they just know how to have a good time before a game of football. Tailgating here usually includes some hot dogs, burgers, bags of chips with dips, and coolers filled to the brim with ice cold beer. 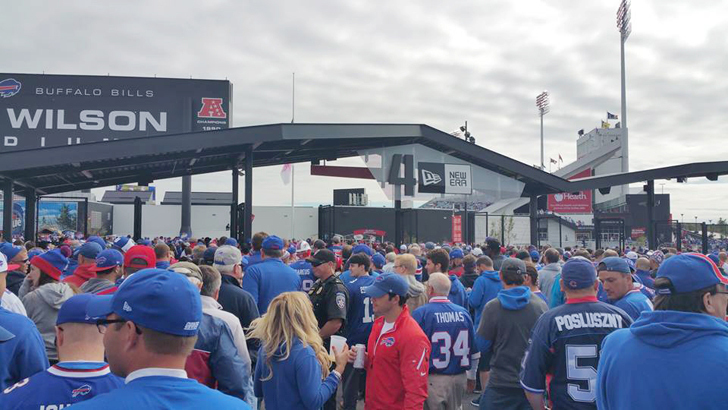 New Era Field has a Camper Lot for RVers, but in case it gets full, there’s also other, private parking lots available. Unlike most stadiums though, where paying for a parking spot ahead of time is a must, you can usually show up here on game day and be able to find an open spot. 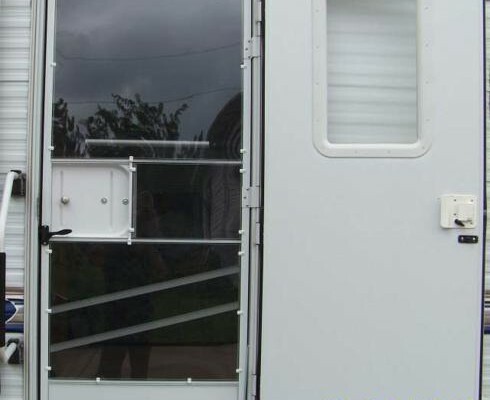 Adjacent to the Camper’s Lot is a small, clean comfort station, which stays heated throughout the weekend with showers, restrooms, and changing areas. 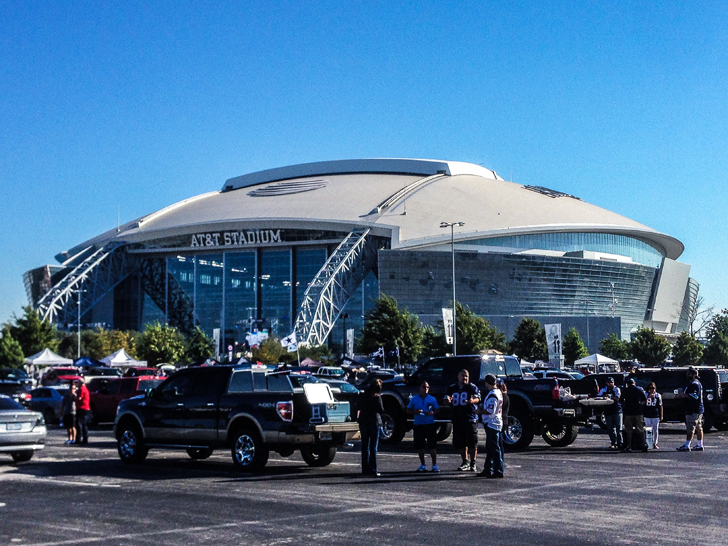 Tailgating at a Cowboys game always makes for a good time. Walk around and you’ll spot grills cooking up some real Texas BBQ, stacks of burgers, and hot dogs with all of the fixings ready to be piled on top. RVers can pull into the stadium as early as 8:00 am the day before. A parking space runs about $150, which can be purchased at their ticket station in person, or online here. Overnight parking is allowed for most events. No hook-ups are available, but they do have a dump station on-site. New York City is much too jam-packed for any kind of sports venues. So their two football teams call this stadium home, less than ten miles away in East Rutherford, New Jersey. 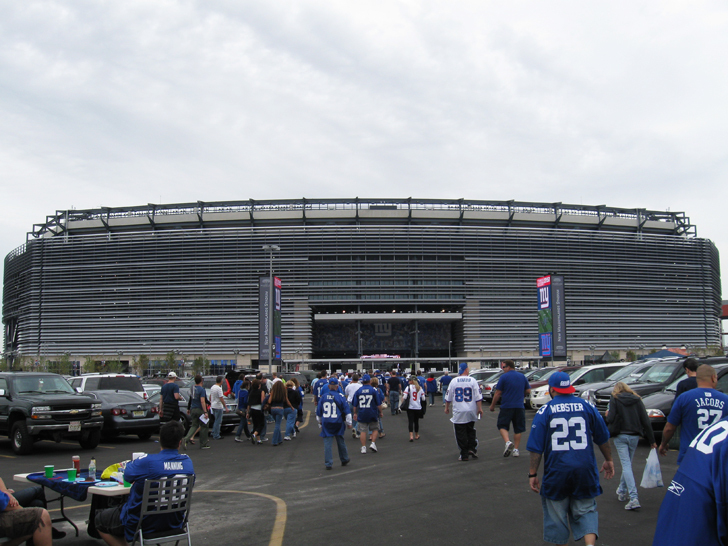 MetLife is one of the premier venues to watch football in the country. Tailgating here is typically crowded, but nevertheless always a great time. Fans of the New York Giants and the Jets cook up favorites like burgers, hot dogs and more, paired with all types of beer and wine. 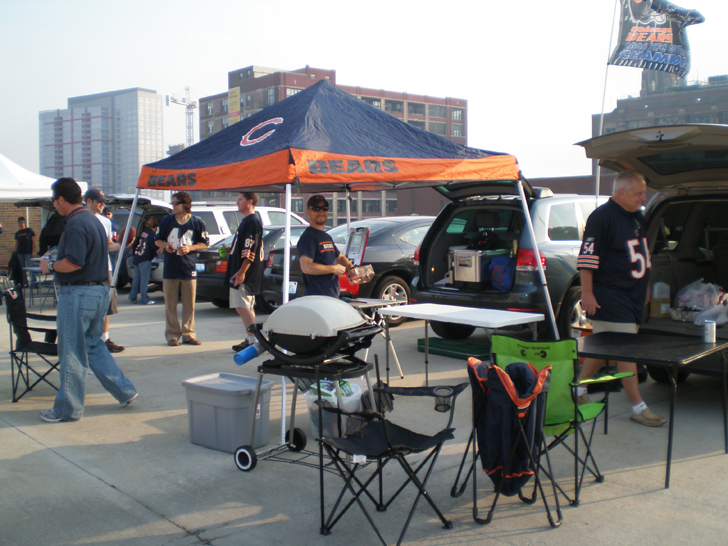 Tailgating is allowed in almost all of stadium’s parking lots. 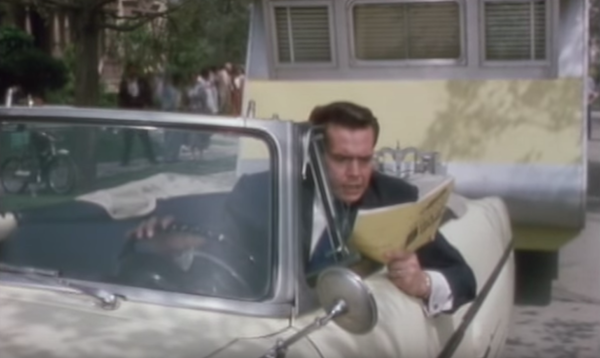 In order to get a spot, though, visitors need a pre-paid parking permit. For individual Giants games, you can score a permit on the NFL Ticket Exchange. Or if you’re going to a Jets game, passes can be purchased from Ticket Exchange or Ticketmaster. With fresh seafood as Baltimore’s specialty, you can count on seeing Ravens fans cooking up some delectable Chesapeake Bay crabs, crab cakes, and steamed clams outside of M&T Bank Stadium every game day. 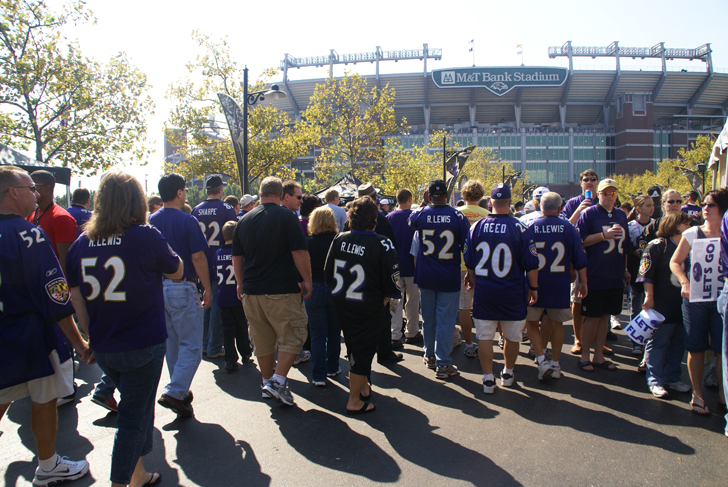 In their purple and black gear, faithful fans start their pre-gaming parties in the parking lots as early as five hours before kick-off. For more info on parking at the stadium, take a look at their website here. Philly cheese steak, brisket, and pulled pork – the grub that Eagles fans cook up in the parking lots of this venue could satisfy almost any appetite. Parking opens for tailgating as early as five hours before the game starts. Overnight parking is not allowed at the stadium. 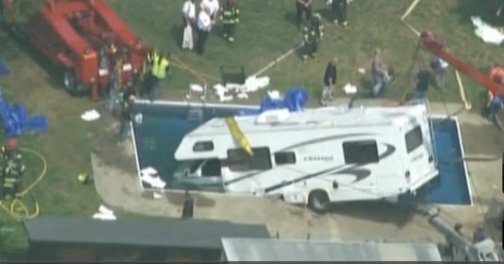 But after the game, RVers can find a comfy place to stay for the night about 18 miles away over at Lake Kandle Campground. Raiders fans go all out every game with elaborate costumes, masks, and silver-and-black face paint. But don’t let that freak you out. They’re some of the most loyal fans out there, and some fun, party-loving people to share a few beers with before the game starts. Parking opens for tailgaters five hours before the game starts, but everything needs to be finished up by kick-off. 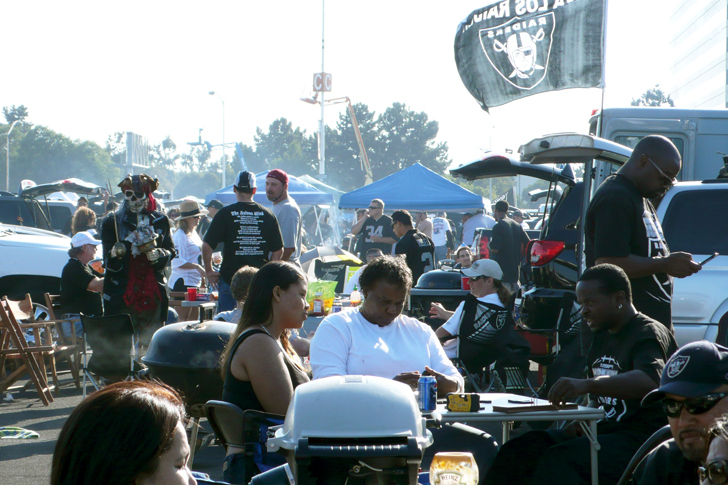 RVers need a pre-purchased parking pass, which are available from the Raiders Ticket Office (by calling 1-800-RAIDERS). Unfortunately, there aren’t a lot of camping options in this part of the Bay Area for after the game. The closest option is the Anthony Chabot Park Family Campground in the Oakland Hills, about 20-30 minutes from the stadium. 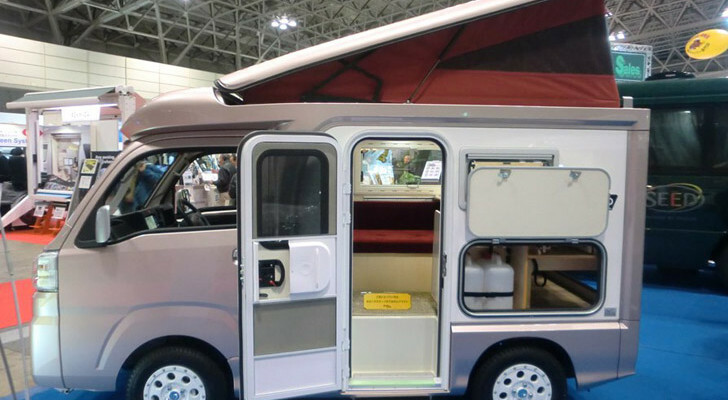 They provide 75 sites averaging about 39 feet in length, most of which can accommodate RVs. Set in a beautiful location overlooking Lake Chabot, the campground has plenty of opportunities for hiking, horseback riding and swimming. To reserve a spot ahead of time, head on over to their website here. 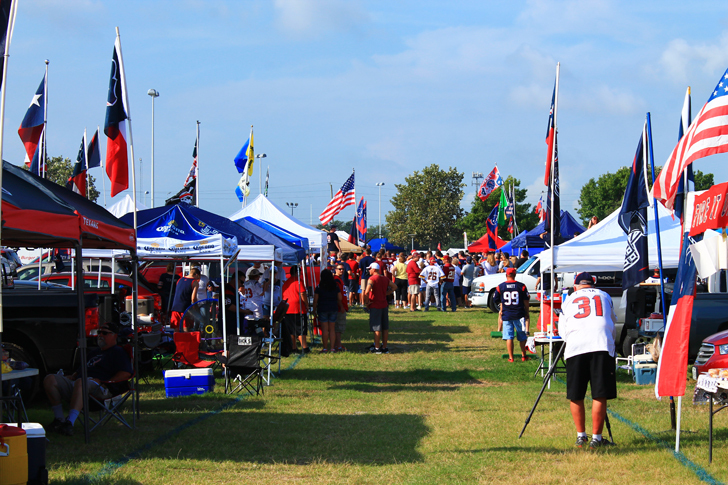 Everything is bigger in Texas – including their tailgating parties. Plus, Houston rivals Kansas City for the best BBQ in the country, so you can always expect to see everything from brisket to ribs every home game. The stadium opens their lots for tailgating four hours before kick-off, with parking on a first-come, first-served basis. 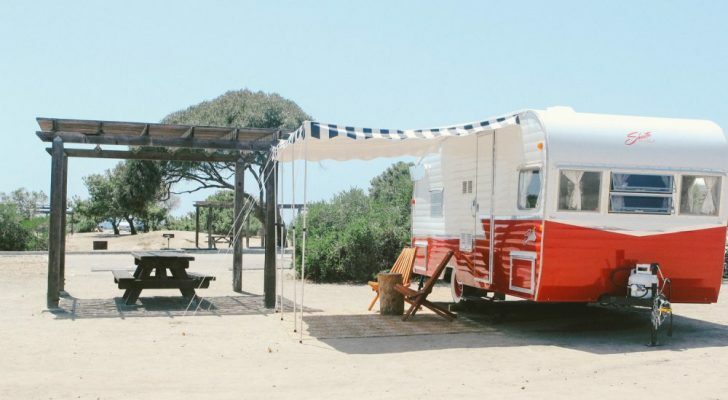 RVs, buses, and oversized vehicles need to purchase two parking spaces (and additional spaces for canopies), and park in the designated RV areas in each lot. For more details, check out their website. Who are you cheering on this season? Share your favorite teams with us below!